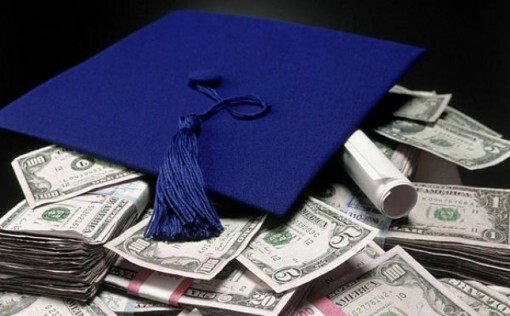 Do You Need A College Degree to Make Good Money? College is great, but it is not for everybody. Debt due to college loans in the United States has risen to well over a trillion dollars in recent years, and the numbers continue to grow. The average student will graduate with $26,000 worth of debt, while some accumulate up to $100,000 worth. All in all, 1 in 10 students will graduate with at least $40,000 worth of student loans to pay back. This does not even begin to account for extra money accrued in the amount of time it takes a person to pay back that much money with high levels of interest added on. Student loans account for over 6% of the national debt of the country. These scary statistics have to make a person think about college and whether it is the right avenue for them. Can a person do without and still make enough money to live the life they desire to live. Now days if you ask what people want to be when they grow up, you will get mixed answers. Some are well on their way and have built years of schooling around a desire or passion they have had from a young age. Others are not as lucky and go to college only to discover that they have no idea what they want to do, even though they are well into adulthood. This leads to an accumulation of debt and confusion over a degree that will not advance them in the career they end up doing at all. Is college a good choice for you? It really depends on what you want to be. Obviously people who aspire to become nurses, doctors, lawyers, engineers and the like need to have studied their profession at university to get a job, but many other jobs that pay well do not require that you go through school do get them. Maybe you are like a lot of the world and have no idea what it is you want to do, you just need a good career that will pay the bills and give you a happy life. There are loads and loads of jobs on the market that pay well that will not require you to put yourself in deep debt with a college degree before you ever have hopes of paying it off. The list is long and ranges from being a makeup artist, to a funeral service manager, to a pilot, to a dental hygienist, to owning an online business and using online marketing to get your product out into the world. College is good-for some people but the idea that everyone needs to go to college to make good money is ridiculous. Sift through the lists found on the internet, choose something that intrigues you and go for it. Many of these jobs will even pay to train you.